Stephen Rustow is a principal of Museoplan, a firm specialized in the design and planning of architecture for cultural collections. 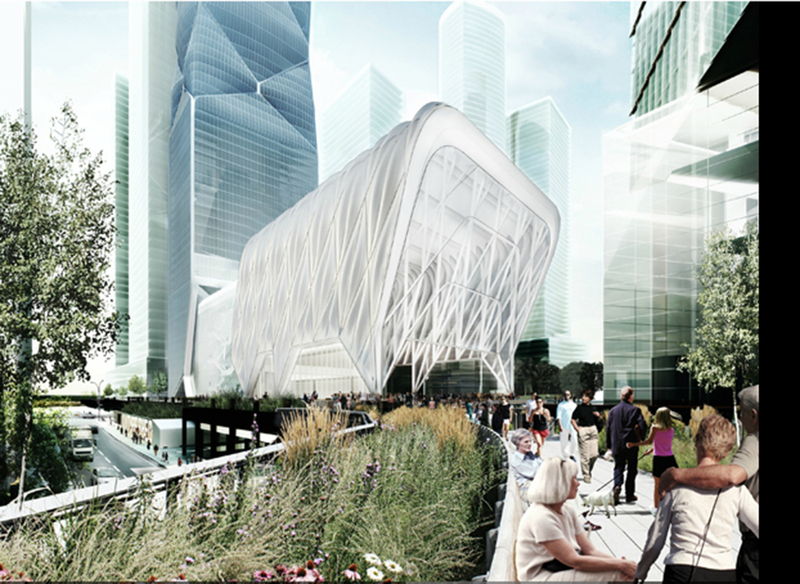 With his partner, Caroline Voss, the firm has designed and collaborated on over 20 museum and gallery projects in the US, Europe and Asia including the Shed in New York City, the Yuan Museum in Beijing, the Museum of Urbanism in Hangzhou, and the National Museum of Bulgaria in Sofia. The firm is currently completing the design and construction of several projects in Naples, Italy. 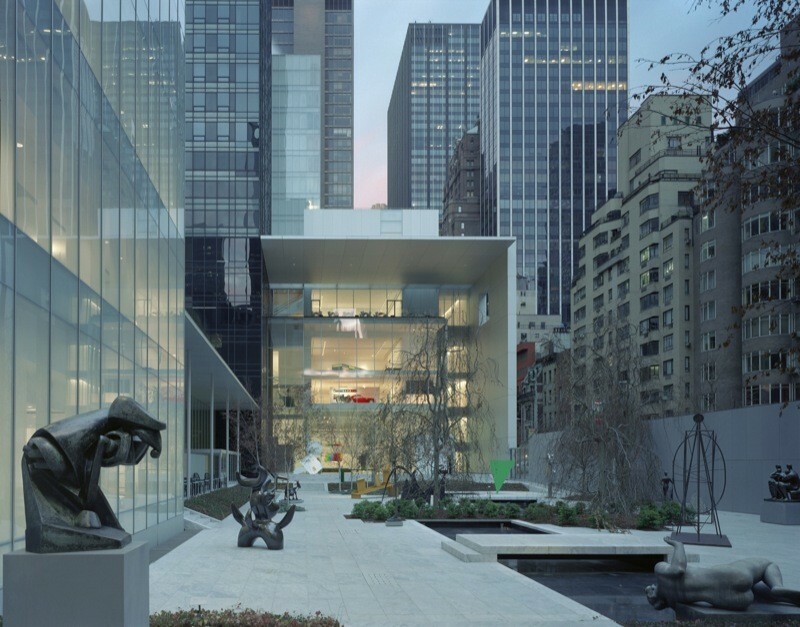 Prior to founding Museoplan in 2006, Mr. Rustow was a Senior Associate Principal with Kohn Pedersen Fox and directed that firm’s work on the renovation and expansion of the Museum of Modern Art in New York with Taniguchi Associates. 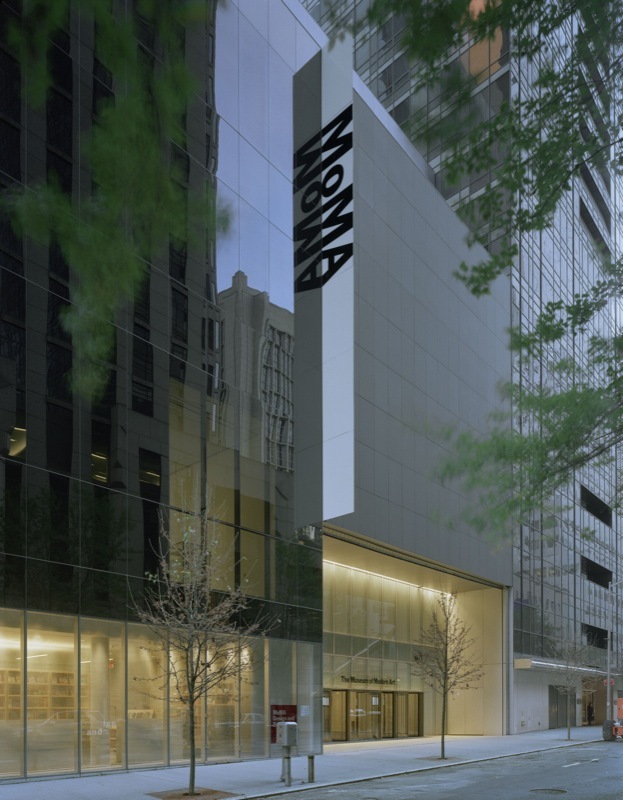 Among his responsibilities were the detailing of the museum’s galleries, the renovation of MoMA’s original building and sculpture garden, and the re-programming and design of the new Education Wing. He led the construction supervision team for the entire expansion project over its seven-year duration. 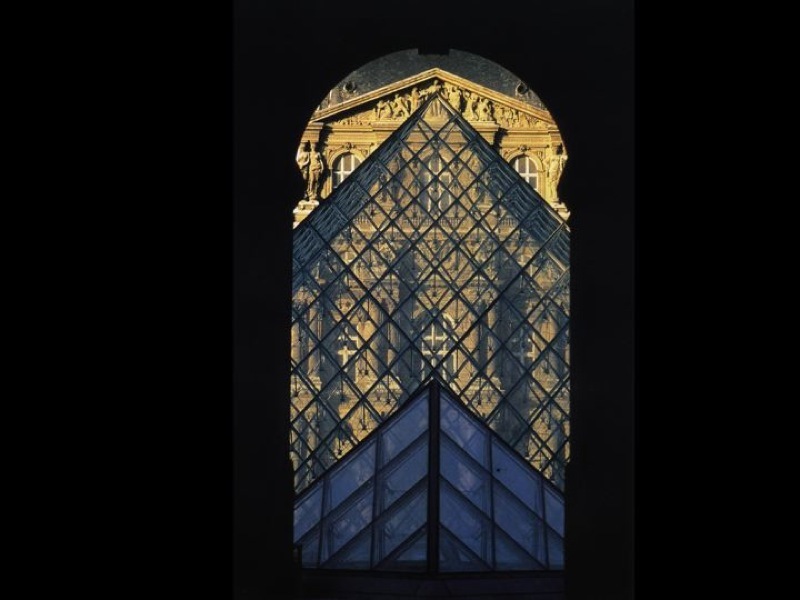 Until 1998, Mr. Rustow was an Associate Partner in charge of design with Pei Cobb Freed & Partners, where he worked for 12 years on the comprehensive renovation of the Louvre. 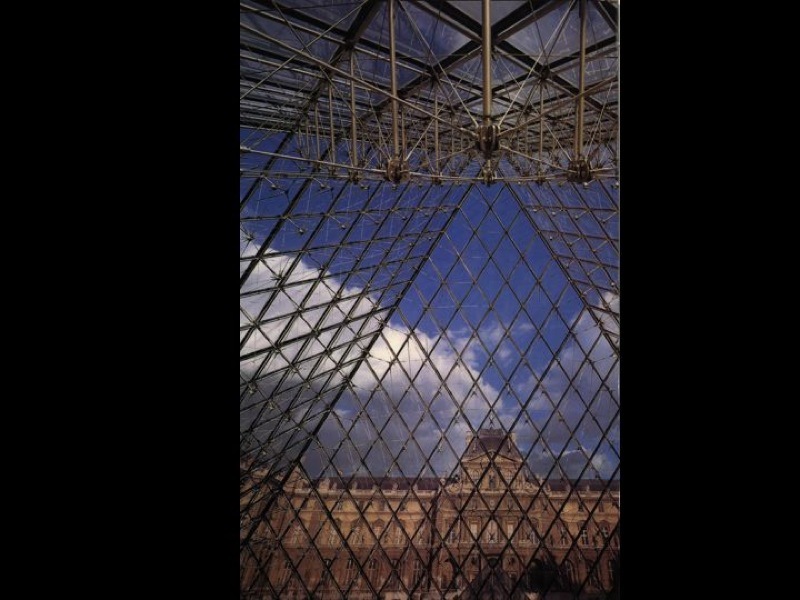 Starting as a member of the original design team in 1983, Mr. Rustow became Director of the Paris Office of PCF&P in 1990 and led the second phase of the project, the Richelieu Wing, for which he designed the galleries of Oriental Antiquities, Islamic Art and the French and Northern Schools of Painting. Mr. Rustow also designed the Tuileries Terrace and was the supervising designer of the Carrousel Gardens, including the installation of the State collection of Maillol bronzes. Mr. Rustow is a Professor of Architecture at Cooper Union where he also chaired the Feltman Seminar on Light in 2006 and 2007. He was a lecturer and studio critic for six years in Columbia University’s Paris Studio program, and has served as an invited juror and lecturer at Columbia, Cornell, Harvard, Princeton, as well as UP 3 and 8 in Paris. He has written and lectured on a variety of topics related to the design of museums including lighting, exhibition design and the role of the museum in urban development. After completing an undergraduate degree with high honors in Anthropology and Fine Arts at the University of Rochester, Mr. Rustow received Masters degrees in Architecture and in Urban Planning from M.I.T. where he was also awarded an Institute Fellowship. He was an invited participant in the inaugural semester of ILAUD in Urbino, Italy in 1976. From 1974 to 1977, concurrently with his graduate studies, he was a Fellow of the National Science Foundation. 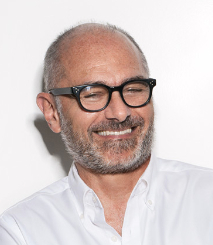 Mr. Rustow is a registered architect in the state of New York and holds certification from National Council of Architectural Registration Boards; he is a past member of the Ordre des Architectes in France. He is also an urban planner, a past member of the American Institute of Certified Planners, and a member of the American Planning Association. View Stephen Rustow's full CV here. An expansion, consolidation and complete reorganization of several major national collections in the historic center of Sofia, just a block from the national cathedral. 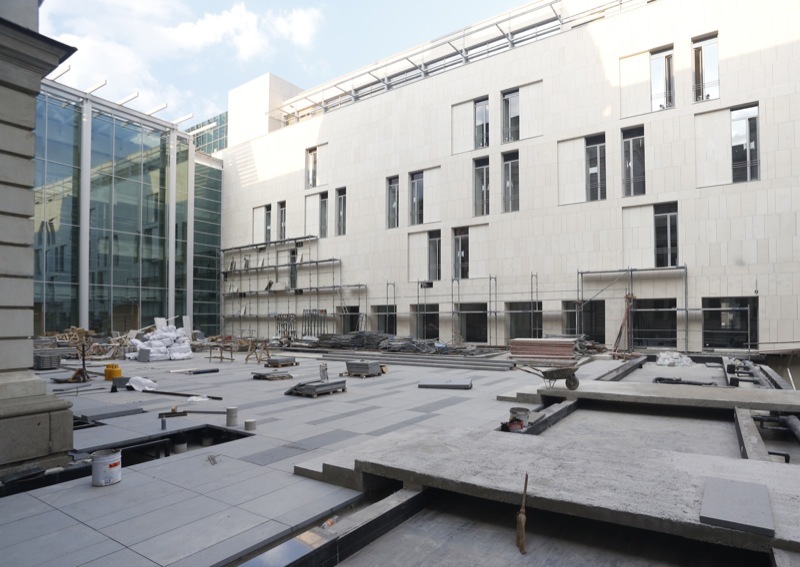 The project combines new building with the rehabilitation of several existing structures around a new open-air sculpture court, a significant addition to the public space of the city. 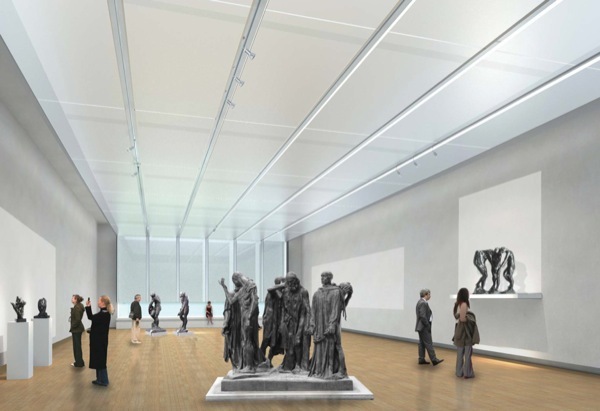 A total of 22,000 square meters of construction, the project includes top-lit galleries, an auditorium and education spaces as well as a full complement of storage and conservation facilities. The commission was awarded through an international competition. 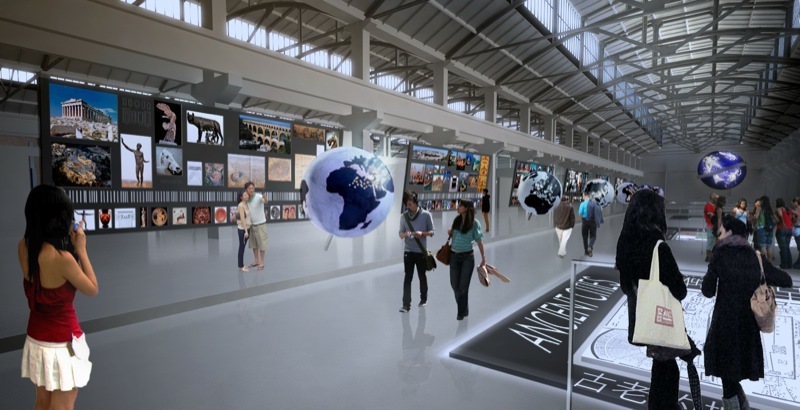 Working directly with the Bulgarian architectural and curatorial teams, Museoplan will be responsible for the design and development of all of the galleries, the art storage and conservation facilities and for assuring the basic circulation of visitors and art through the building. 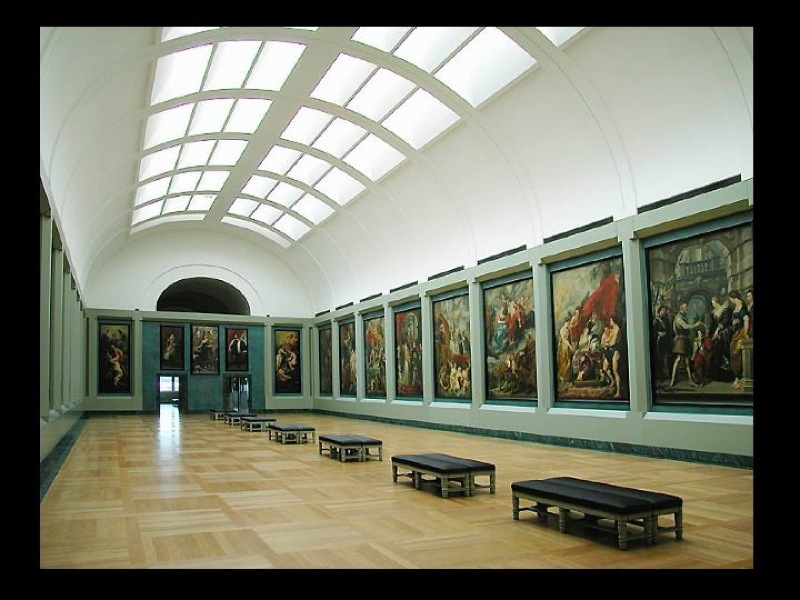 The system provides a highly flexible, reusable and sustainable approach to the presentation of art objects and is designed to cut exhibition costs by significantly reducing waste. 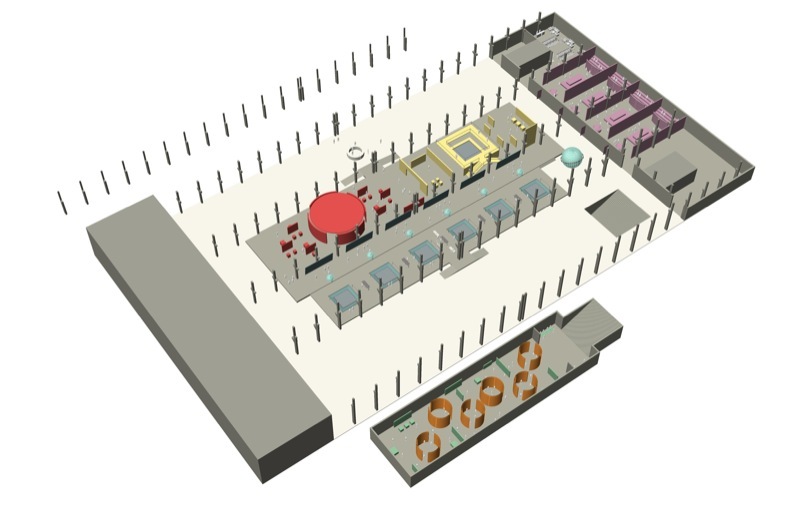 It also functions as an important space-planning tool and can be used to create a consistent aesthetic signature across many exhibitions. 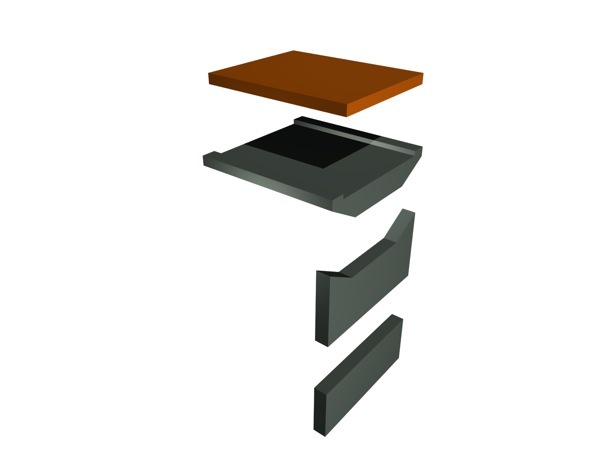 The four component parts of the system combine to create three display heights and three lengths and are stored flat when not in use. 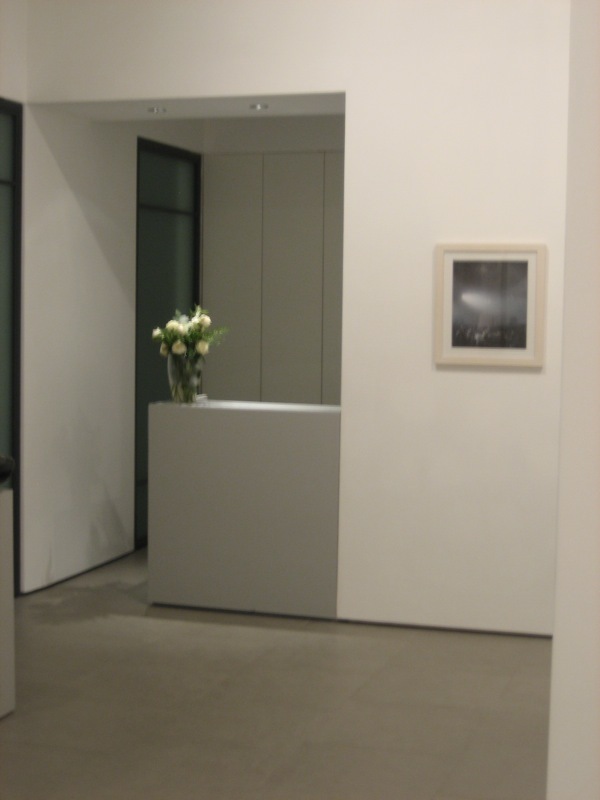 An integral art platform can be painted, wrapped or treated in any manner appropriate to the art displayed. The system can be used with plexi-glass or glass cases, and can be adapted to include integral lighting and dehumidification components. The prototype is designed in Valchromat, a cellulose-based, high-density composite with integral color that is highly resistant to wear and entirely free of off-gassing. The material is environmentally sustainable both in its fabrication and in its end-use recycling. 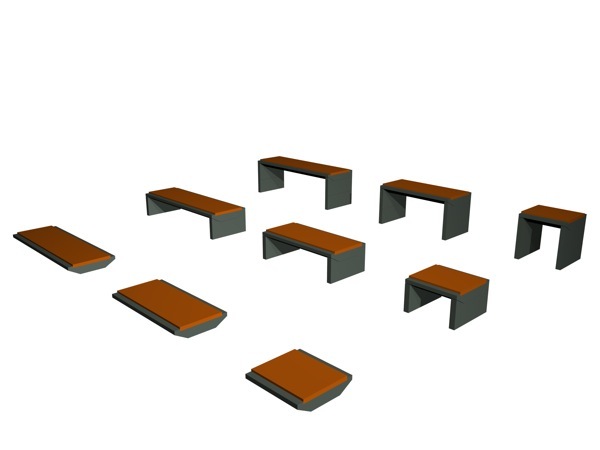 However, the system may be customized to each individual museum’s brief and a wide variety of conventional materials may also be used including powder-coated metals, dimensional plastics, Corian, etc. The system is structured on a tubular stainless steel framework, which gives it strength, rigidity and ease of assembly while accommodating the greatest variety of finishes. 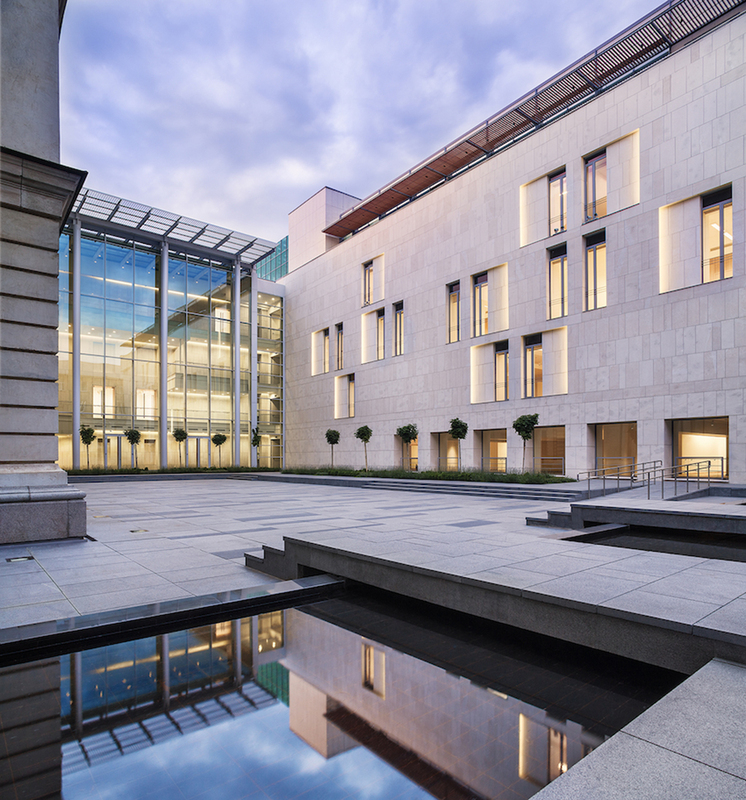 A complete architectural renovation of a celebrated, 40-year old gallery of contemporary art housed in an eighteenth century building in the center of Rome, near the Ara Pacis. 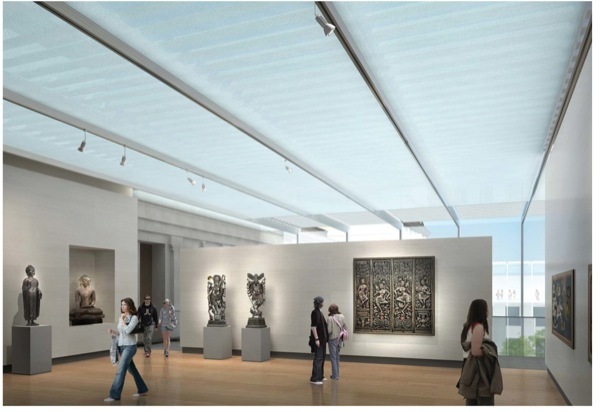 The project included three new presentation rooms with new lighting and mechanical systems as well as art storage, gallery offices and archives. 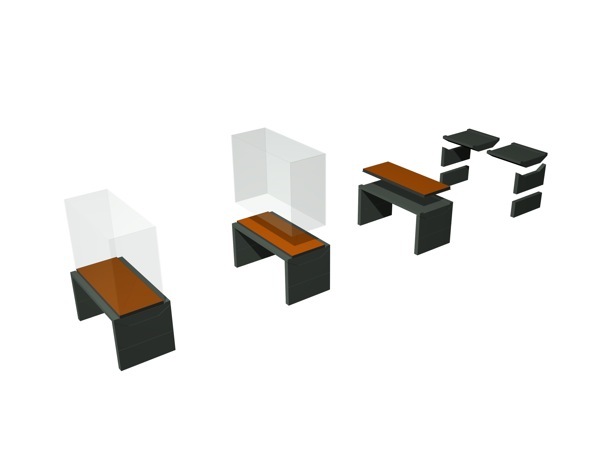 Museoplan also designed the furniture for the renovation. 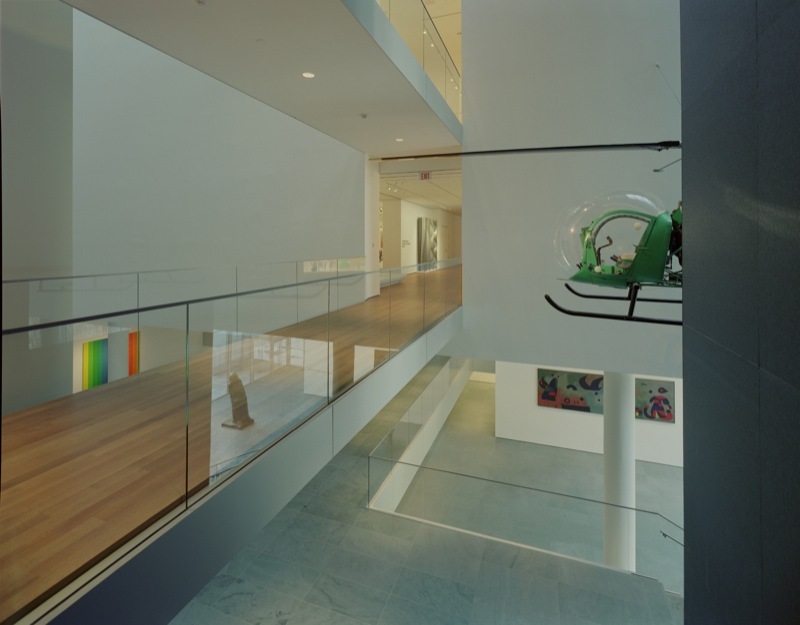 The gallery reopened with an anniversary exhibition in December 2007 including works of Rauschenberg, Motherwell, Lichtenstein, Sam Francis, Bochner and Ruscha. 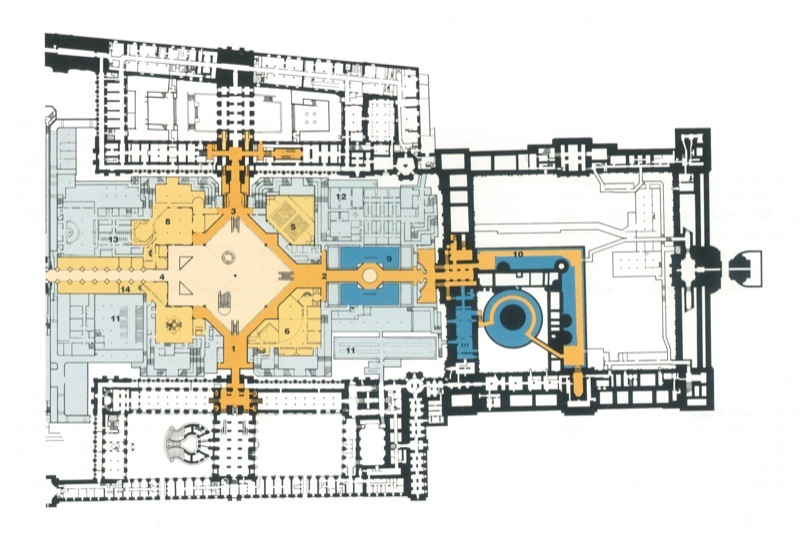 A comprehensive reorganization and modernization of the Louvre Museum for improved access, new public services and support facilities and a formal reintegration of the museum’s courts and gardens with the surrounding urban area. 1983–95. 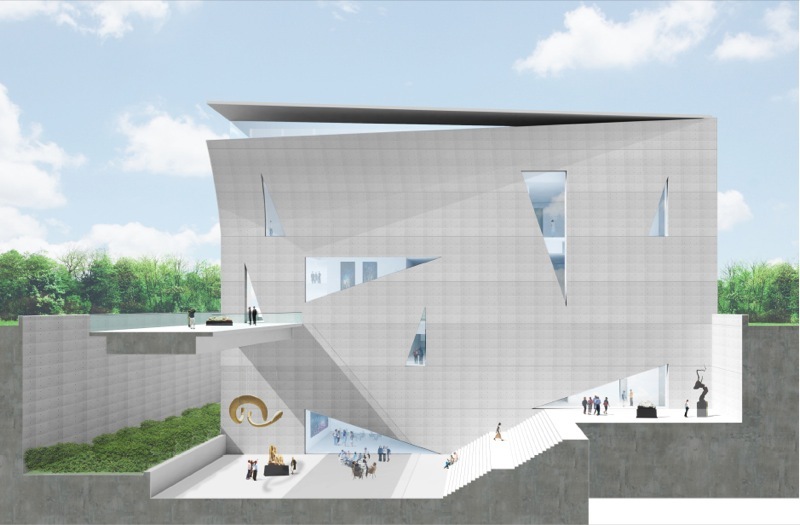 Major components include a glazed pyramid as principal entry to the museum set in a three hectare public plaza on the roof of a new underground building which houses the museum’s main reception area, visitor services, a 420-seat auditorium, temporary exhibition galleries, technical support spaces and new connections to the existing wings of the museum. 62,500 m2. $120,000,000. Completed 1989. 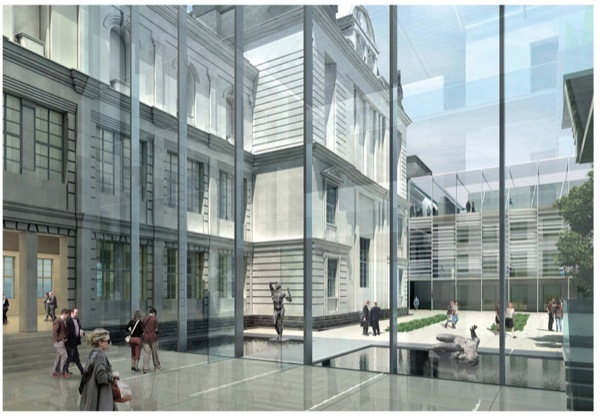 Conversion of the former Finance Ministry into 3 floors of exhibition space (36,000 m2). 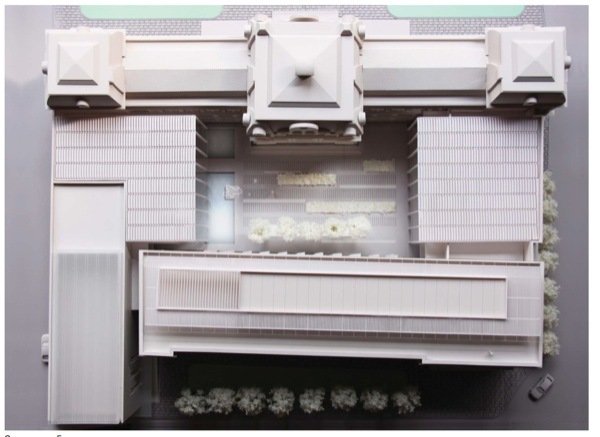 The project involved demolition of six stories of government offices behind the historic facades, conversion of three interior parking lots into day-lit sculpture gardens, creation of a grand escalator court as well as new public circulation and infrastructure. 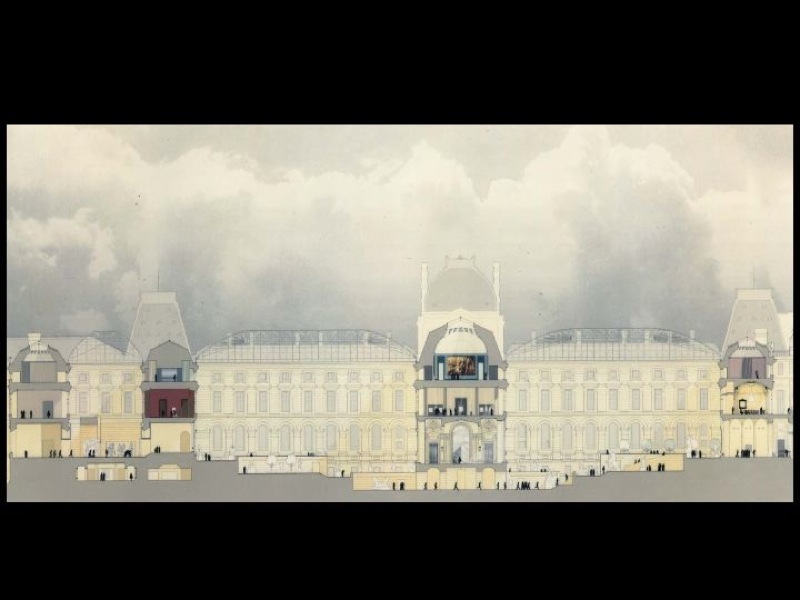 S. Rustow was also the Project Architect and gallery designer for the departments of French and Northern Painting, Oriental Antiquities and Islamic Art. $164,000,000. Completed 1993. Comprehensive redesign of the 14 hectare complex of historic gardens to create a new axial continuity with the museum’s courts and a more thorough integration with the surrounding urban context. The project coordinated the work of two landscape design firms, the Voirie de Paris and the engineering designs for a new pedestrian bridge across the Seine. 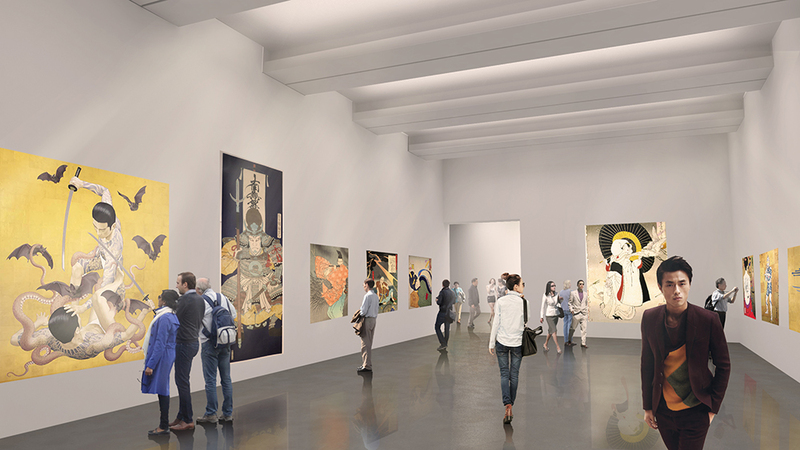 The Yuan Museum is an initiative undertaken by Zeng Fanzhi, one of China’s most celebrated contemporary artists, who intends to establish the preeminent venue in China for the exhibition and pedagogical presentation of Western art in the figurative tradition. 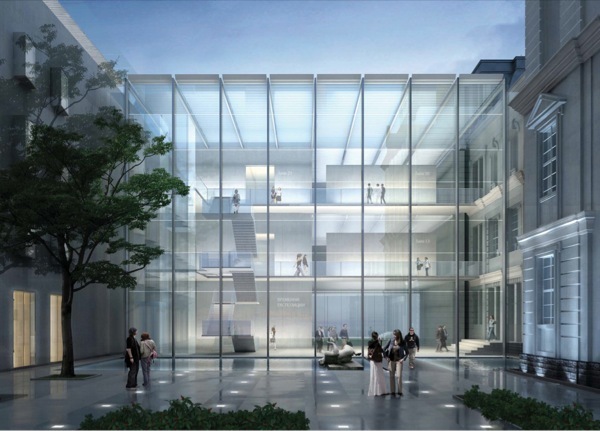 Tadao Ando Architects are designing the 10,000 sm building on the site of a mixed-use development in the Embassy District. 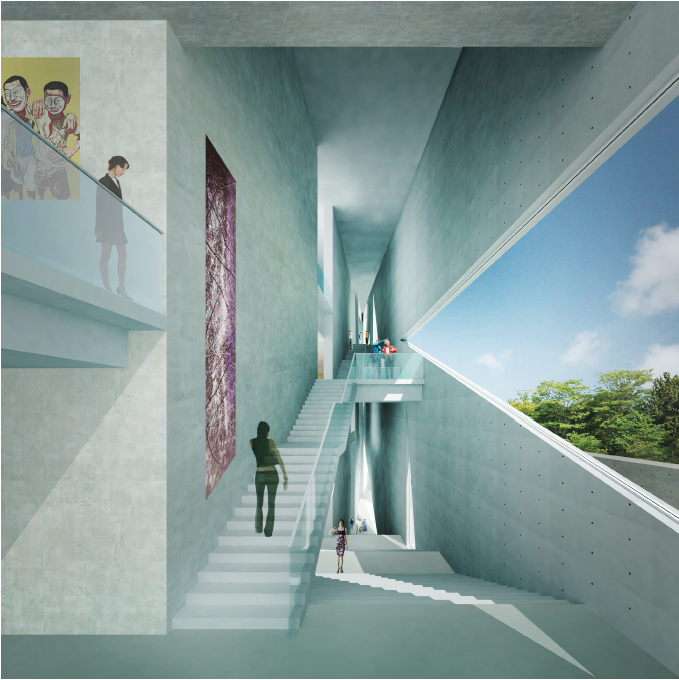 The building, with galleries on 5 levels as well as a multi-media theater, arts library, café and shop, occupies a privileged position next to a new park alongside a canal; a series of sculpture terraces will connect the museum’s galleries to the densely planted grounds. 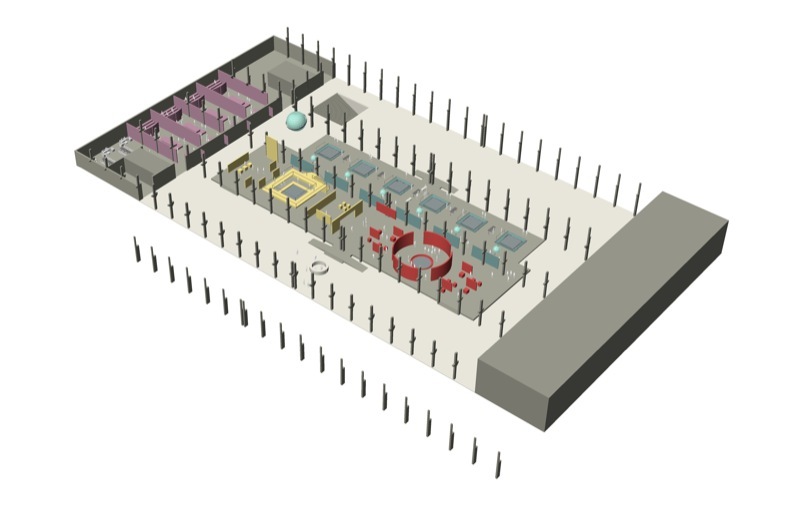 Museoplan is assisting the project development team for the Yuan in its review of the architectural project with special emphasis on the functionality of gallery configurations, art installation strategies, lighting systems and essential back of house support spaces. 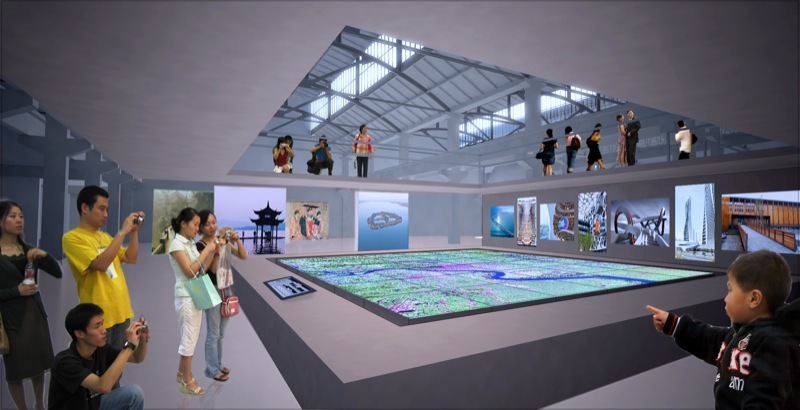 Museoplan is also working directly with the Yuan to establish an organizational model for the new museum, including institutional administration and staffing, exhibition planning, development strategies and programming for ancillary cultural events. 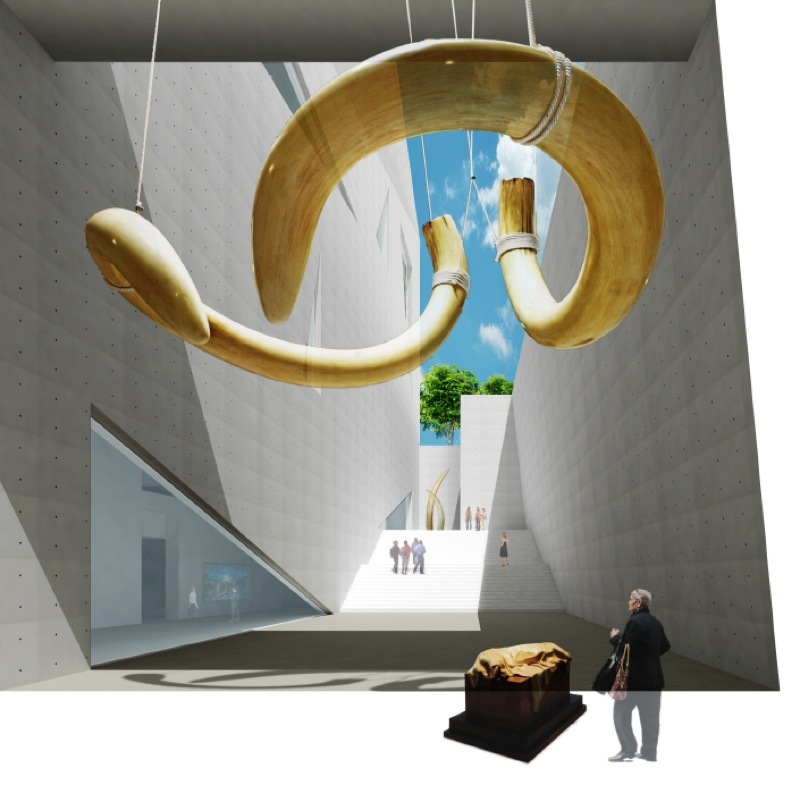 Museoplan won the invited competition for the Exhibition Design of the new Museum of Urbanism, the anchor institution of the Urban Constellation development. 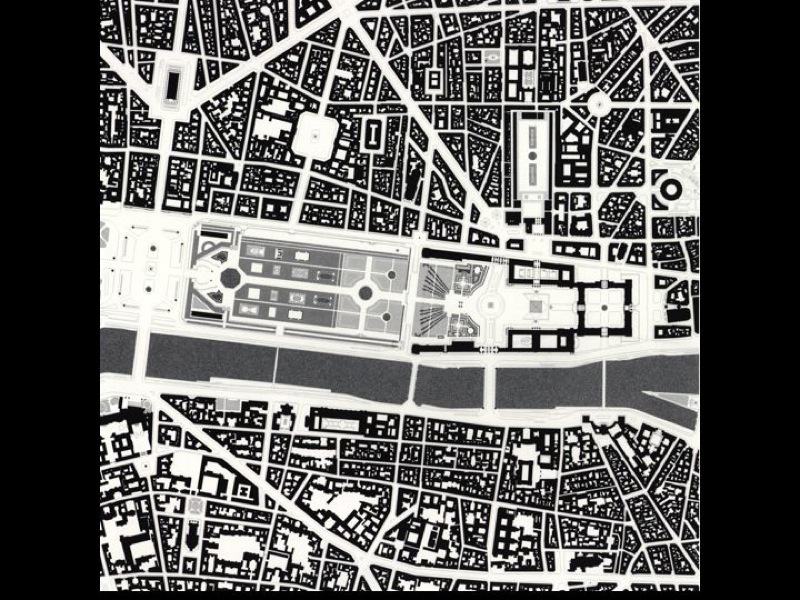 The 7,000 square meter proposal creates six distinct sections tracing the formal and historical development of cities across the world in a wide variety of media and presentation methods. 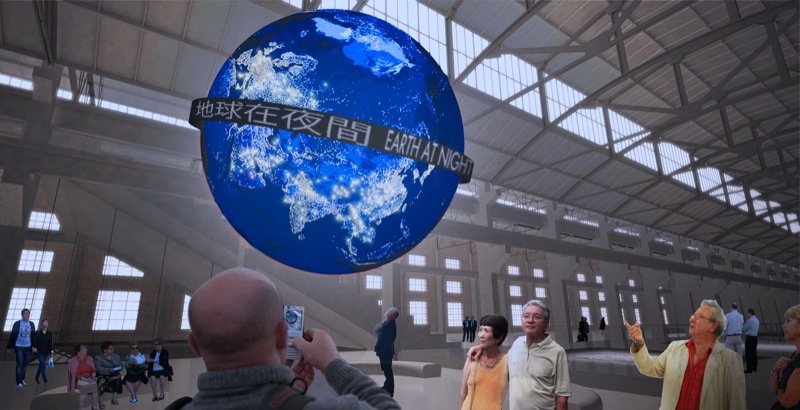 Individual sections include a time-line of global urbanism; a presentation of environmental challenges and futures for contemporary cities; a changing gallery of world cities and a special section on Hangzhou. The general focus of the entire permanent exhibition is on cities as generators of culture, responding to the theme proposed by the Urban Constellation: Better Cities, Better Life. 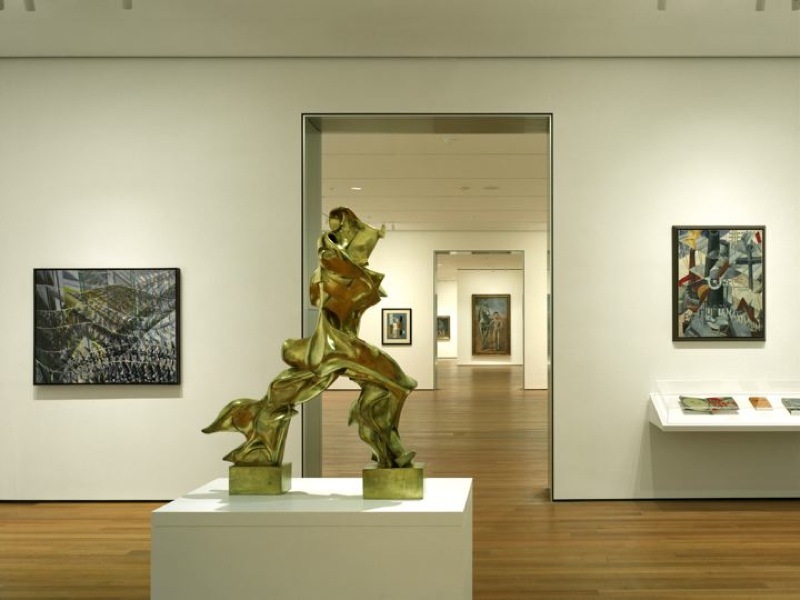 Museoplan is responsible for the design of both the content of the Museum and its museological presentation, as well as ongoing curatorial programming. 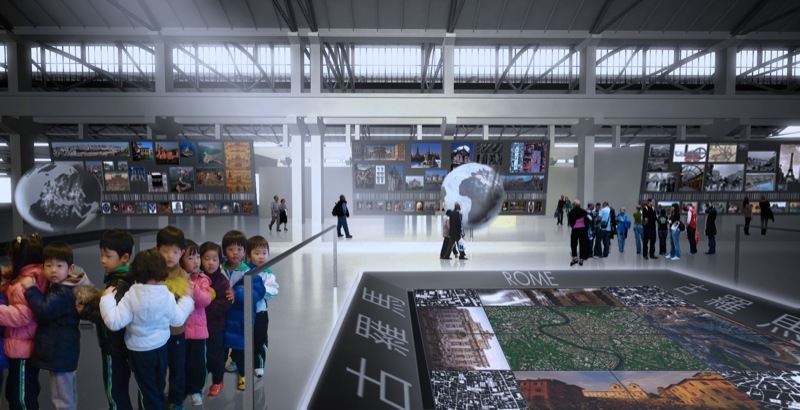 The new museum will occupy one of seven historic industrial sheds originally built to house China’s national steel smelting industry. Herzog de Meuron are the architects for the restoration of the sheds and for the comprehensive site plan that will ultimately include four museums, of Architecture, Design, Fashion and Urbanism. An expansion, consolidation and complete reorganization of several major national collections in the historic center of Sofia, just a block from the national cathedral. 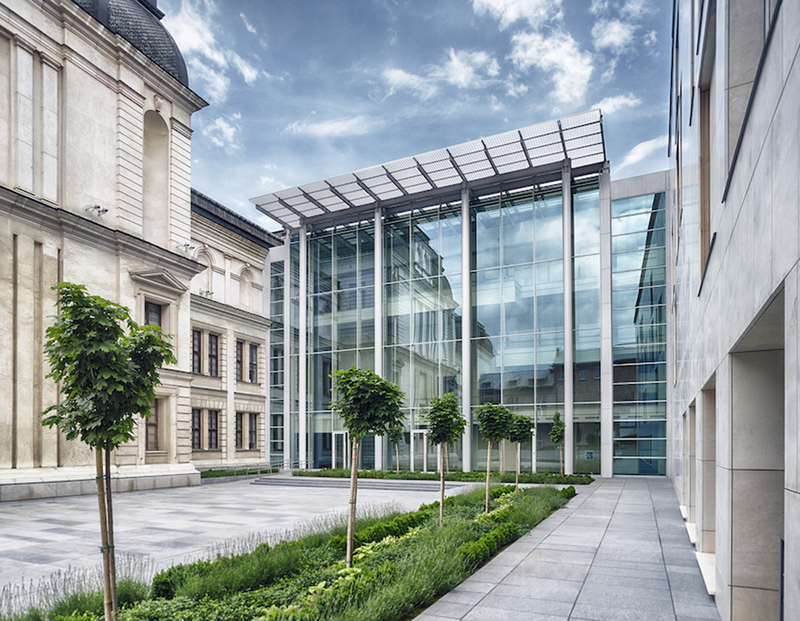 The project combines new building with the rehabilitation of several existing structures around a new open-air sculpture court, a significant addition to the public space of the city. 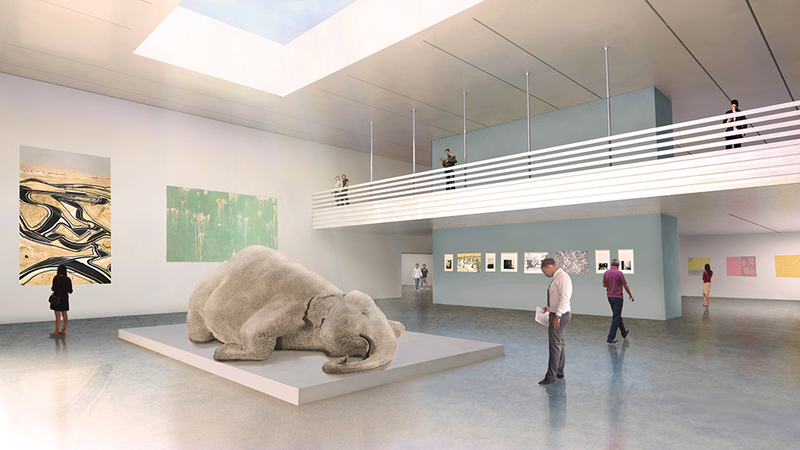 A total of 22,000 square meters of construction, the project includes top-lit galleries, an auditorium and education spaces as well as a full complement of storage and conservation facilities. The commission was awarded through an international competition and construction was completed in 2014. 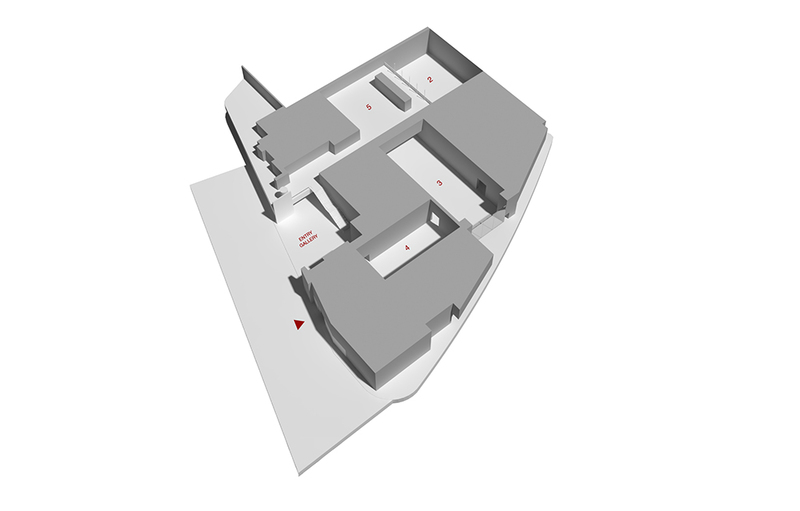 Working directly with the architectural and curatorial teams, Museoplan was responsible for the design and development of all of the galleries, the art storage and conservation facilities and for assuring the basic circulation of visitors and art through the building. 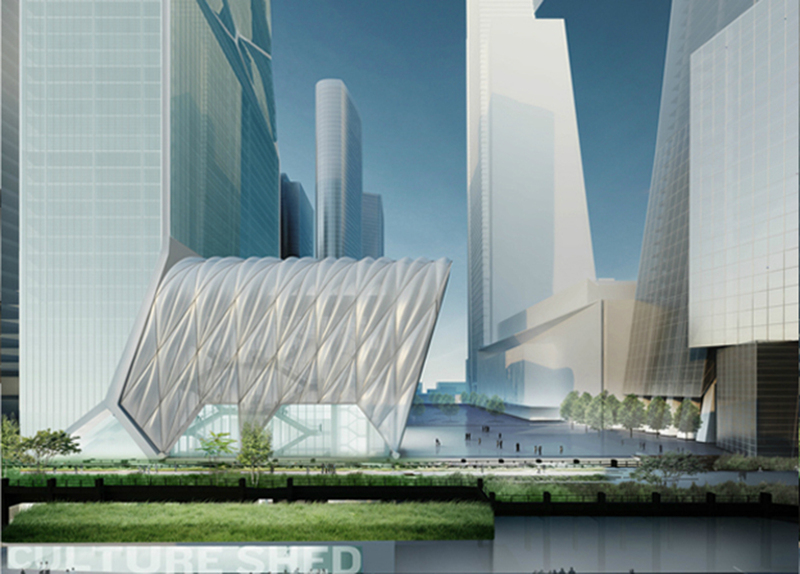 Culture Shed is a new, innovative institution that proposes nearly 50,000 sf of flexible space for exhibitions and other cultural events. 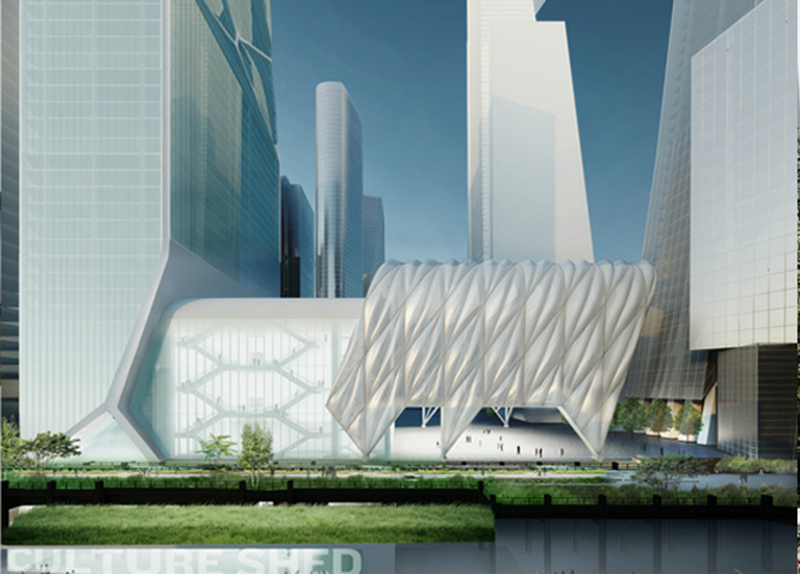 Conceived as part of the Hudson Yards redevelopment district, the building, designed by D S + R, in collaboration with Rockwell Group, will stand at the north end of the High Line. Culture Shed will welcome a highly diverse local and international programming, spanning the fields of art, music, performance and fashion. 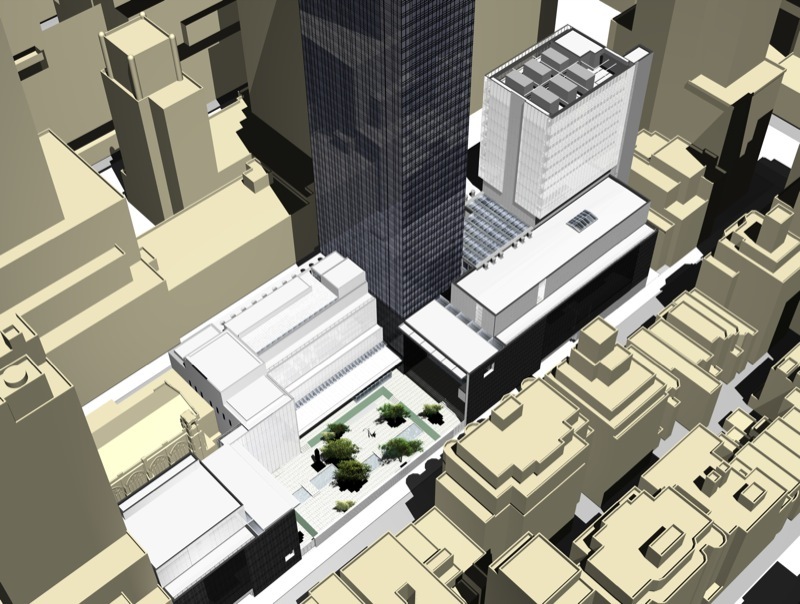 The building design is distinguished by a moveable bonnet, a 100 foot tall enclosure, built on a rolling gantry system that permits the enclosure of an exterior plaza, more than doubling the ground floor footprint. 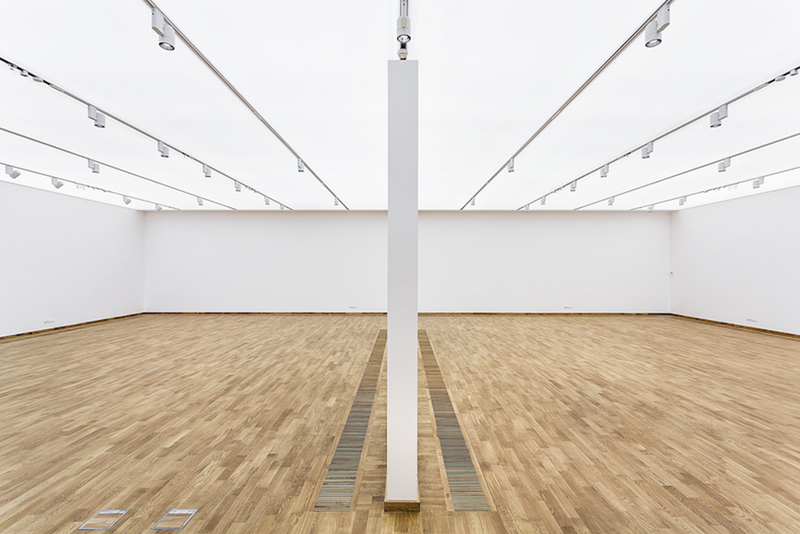 Three column-free levels of gallery space provide flexible spatial configurations and technical support for exhibitions and performance of the widest possible variety. 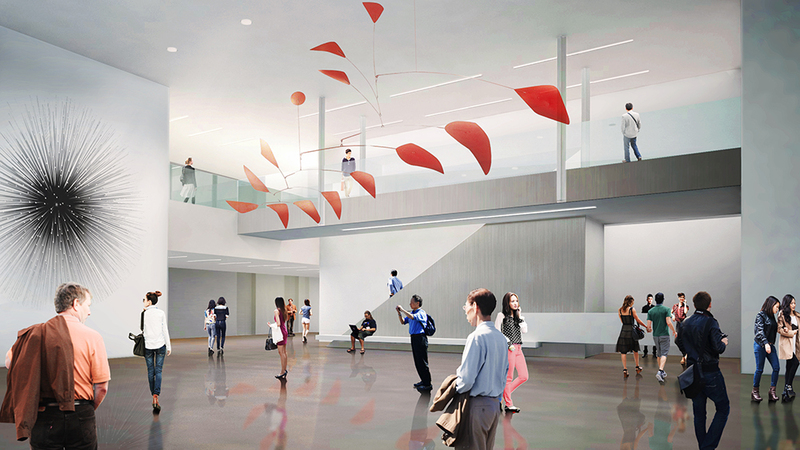 Museoplan was asked by D S + R’s design team to help develop all of the art-related and exhibition space features of the new facility. 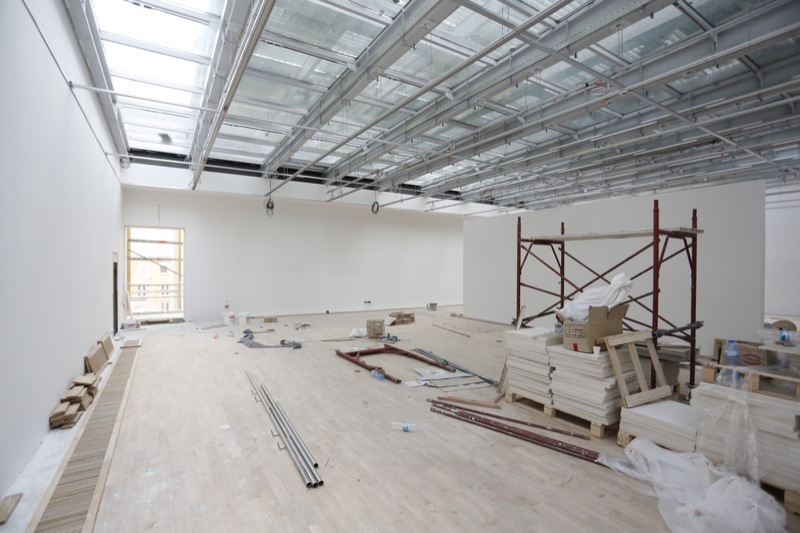 Our charge includes comprehensive design review, the analysis of public movement throughout the building, the development of effective strategies for subdividing gallery floor plates, design advice on art delivery, handling and conservation spaces and on art lighting strategies. The consistent challenge of the project is finding the appropriate balance between programmatic flexibility and operational efficiency. This new institution will be a 8,000 square meter private museum, located on the upper public floors of a highly prominent mixed-use development (by KPF) in Kowloon, with stunning views of the Hong Kong harbor. 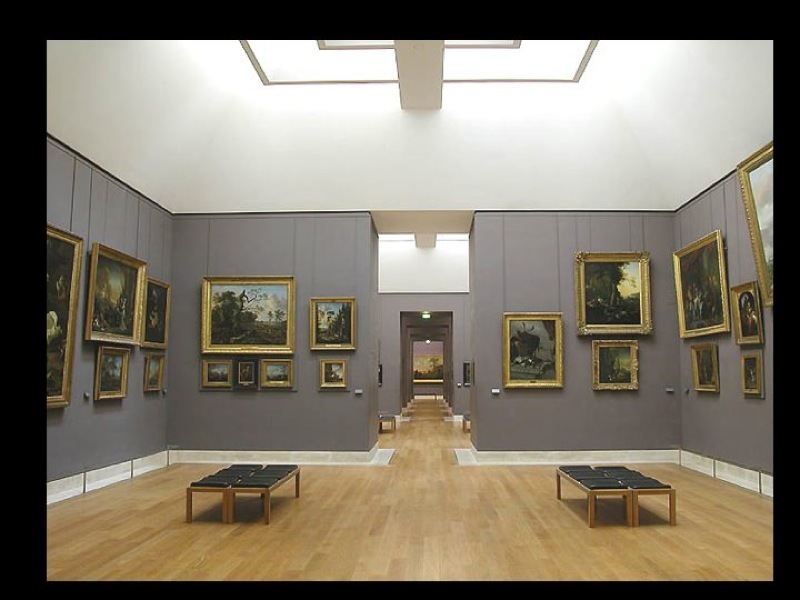 The museum is designed to display a family art collection and to receive temporary exhibitions curated in association with a network of Chinese galleries and European lending institutions. The circuit of twelve galleries, of varied sizes and heights, is divided into two parts around an exterior sculpture court. 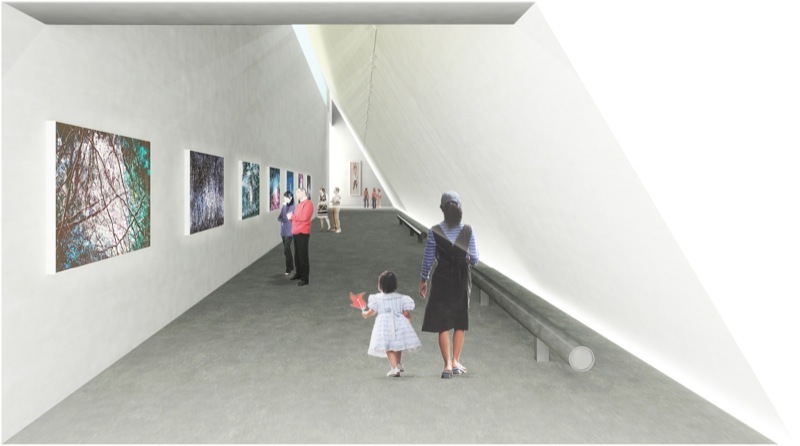 Museoplan created the initial study that proved the feasibility of the museum and is designing all of the galleries and spaces for associated programs, to include an education center, administrative offices and art storage. A special glass tube façade is being designed by SO-IL to create a strong exterior identity that distinguishes the museum from surrounding uses.